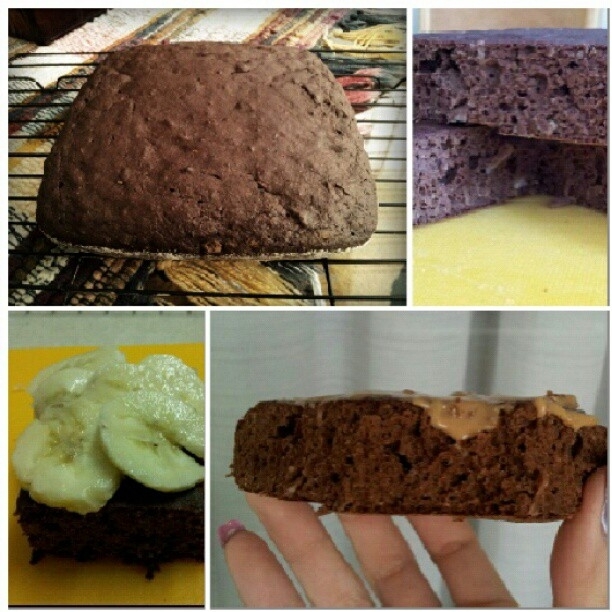 A low fat, high protein, low carb delicious and healthy cake. mix wet, mix dry. add WET to DRY. mix. bake 15-20min at 325 degrees in a greased and floured pan. DONT overcook. when 90% of the top isnt glossy anymore, take it out and let the heat continue cooking it. let cool in pan 5 min, then transfer to rack and let cool for ten minutes. topped my piece with peanut butter, and another with banana and pb. Serves 6.